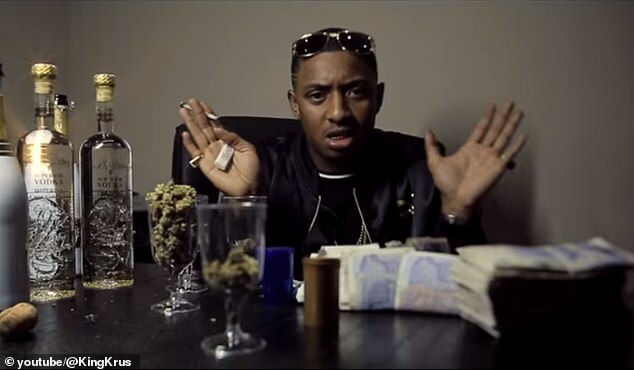 A rapper jailed for ‘county lines’ drug dealing had brazenly bragged about his antics in YouTube videos. 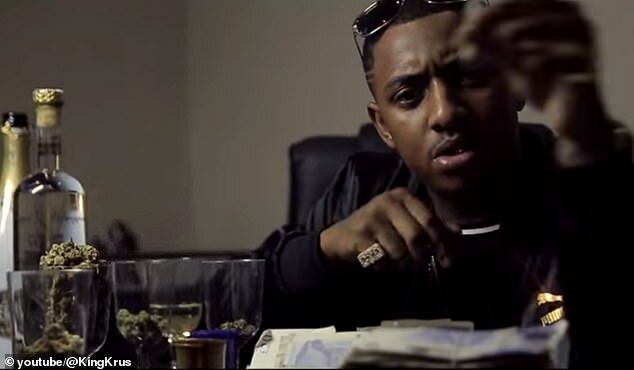 In one track ‘On My Mind’, which has more than 15,000 views, he raps: ‘Building up new trap lines, Gotta get them stacks in, Five lines at one time, What you know about trap king? ‘I built hella lines, Hit hella cats, Took hella losses I’ll get it back. The lyrics, some of which attributed to fellow rapper Sean Murdz who features on the track, continue: ‘Smoke hella weed this a lemon pack, Drop 28/27 back. ‘The personnel kings in the trap, And now their phones aren’t ringing fam, You think I give a damn? They never when I never had a cat I could give a gram. ‘Trap lords, trap lords, In a in a dis b*tch, Stack more, stack more, My n**** get rich. ‘Money, money on my mind, I’ve been out there trapping all my life. County lines sees dealers in big cities being contacted via mobile phone – then using youngsters to deliver the drugs to outlying areas. He first came to the force’s attention in July 2015 when he was suspected of driving around the area delivering drugs to users. He was found to have phones suspected of being linked to drug deals along with a large amount of cash. Police later identified an address he was using in London and executed a drug warrant, seizing almost seven-and-a-half ounces of crack cocaine and heroin and four ounces of cannabis with a total estimated street value of £20,000. They also seized a live firearm. While on bail Rose was stopped in Essex found in possession of approximately 60 street deals of crack cocaine and heroin – and a phone suspected to be involved in drug supply. He pleaded not guilty to this offence but was later found guilty at crown court. In the video for another of his songs, Studio or Road, which has almost 10,000 views, Rose is seen answering a cheap trap-line phone as he drives a convertible BMW. He raps: ‘It’s either the studio or the trap house, but both of them feel like home’. 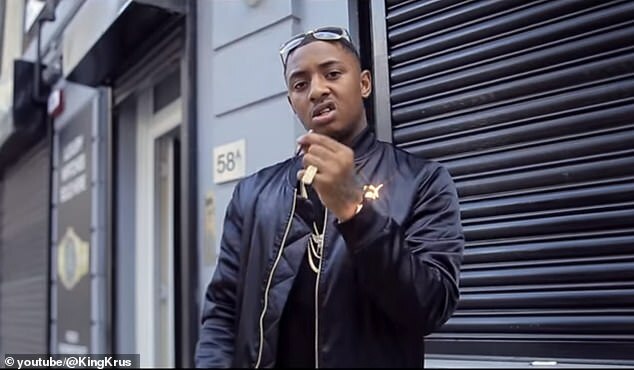 Last year, Wiltshire Police issued an arrest warrant for Alex Williams, a 26-year-old rapper better known by his artistic name Young Tribez. 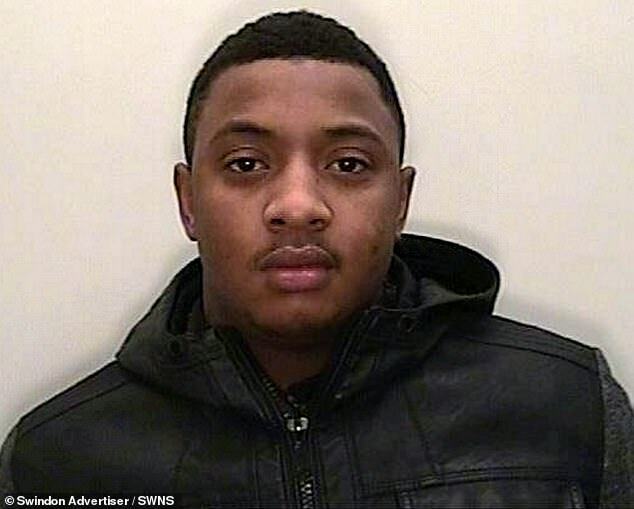 He is suspected of conspiring to supply heroin and crack cocaine in Swindon. Williams remains on the run after fleeing to Dubai. The video on Youtube, posted in June 2018, has more than 150,000 views and shows Williams in Dubai. Another county lines dealer, Connor McGovern, 26, was jailed for four years and ten months in July 2018 after rapping about his network on Youtube. Det Insp Paul Franklin, who leads Wiltshire’s drug squads, said rap videos glamorised the world of drug dealing for children. Youngsters from Swindon have been found peddling class As for London county lines gangs. Det Insp Franklin said: ‘Rather than just banning the videos, we should be a bit smarter. 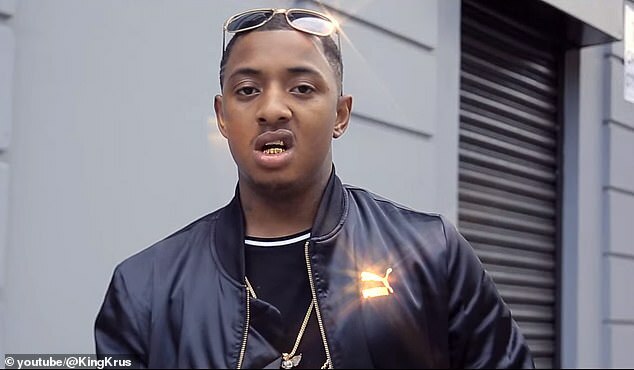 Angus Macpherson, Wiltshire’s police and crime commissioner, said: ‘Videos like these are classed as musical entertainment for young people but they are also obviously a blatant promotion for knife and drug crime and some youngsters are influenced by the glamour portrayed in these songs. ‘However, the videos are a symptom not the cause of the likes of county lines and serious violent crime.